Is your PR agency performing as desired? If you are working with a public relations agency, when was the last time you reviewed their performance? If you are underwhelmed by their results, perhaps it is time for an evaluation. Make sure they are kicking goals for you, not against you. 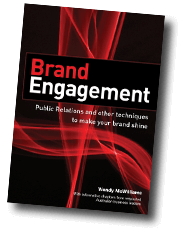 PR agencies and PR consultants can play a valuable role in any organisation if they are made part of the marketing team. They can develop PR strategy, design and deliver design publicity & promotion programs, create communication materials, organise events and product launches, handle advertising, instigate community relations programs, conduct market research, write speeches, prepare presentations and myriad other activities. To help with the evaluation process, answering these 10 questions will help you measure the value of your public relations agency, whether they are working for you on a project or ongoing basis. 1. Do they perform the tasks that were agreed upon at commencement? 2. Do they keep within the budget? 4. Are they creative in their approach? 5. Is their work of a high standard and error-free? 6. Have they achieved what they said they would? 7. Do they have plans and strategies for the short, medium and long term? 8. How are they measuring their performance? Yes, ask them. 9. Are they meeting agreed objectives? 10. Are they easy (and nice people!) to deal with? How many ticks did you give them? If you’re happy with the responses to these questions, the agency would appear to be a good fit for your business. If you would like to talk to WMC PR about public relations for your business, please contact us via this form or give us a call.